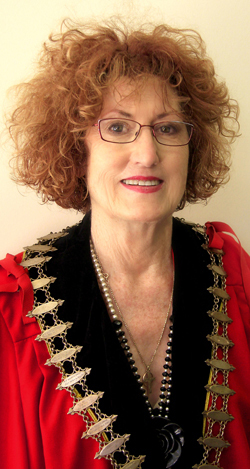 Under the no-holds-barred Mayor Joy Baluch, the Port Augusta council drives the local state and federal agencies, not the other way round. They are held to account in monthly meetings. This has gone a long way towards a solution of what was a near-terminal anti-social behavior and alcohol crisis. Could it be the template for the councillors and Mayor taking the reins in Alice Springs on Monday? ERWIN CHLANDA reports. “Port Augusta is alcohol free. You cannot drink in a public square. If you want to drink you go home, to a pub or a club. You will not drink in the streets and you will not sit on the beach and consume alcohol. What about people who contravene that regulation? Who puts them on the bus? And that person plays a very major role in the town. Nancy Joy Baluch – her friends call her Joy – doesn’t mince words. 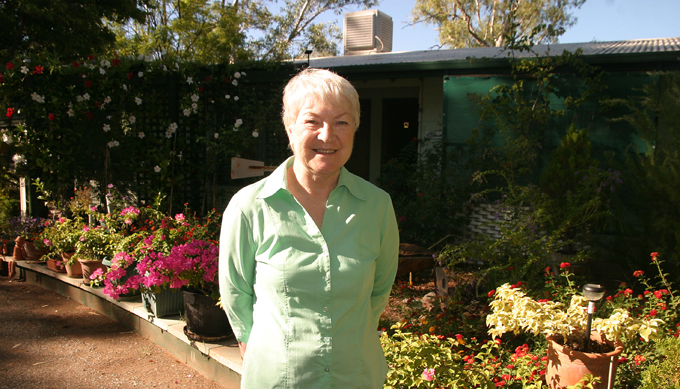 She has served as the Mayor of Port Augusta from 1981 to 1993 and from 1995 till now. That she’s battling cancer wasn’t at all evident in our telephone conversation yesterday. “In 1981 we had a town square. It would have drunken whites, drunken blacks, fornicating in public, in the presence of tourist buses,” she says. “Our tourist trade went down to zero. Port Augusta became a place not to be seen in. “Today we are a tourist destination. We have turned our image around. But don’t expect results overnight, says the feisty Mayor. Care for old people in Alice Springs will get a boost with a $6.6m expansion program at the Old Timers Village, part of Frontier Services, which is now entering its second century of serving The Centre. At the Old Timers Village on the South Stuart Highway, Flynn Lodge – at the northern end of the complex – will double in size with a 20 bed extension. These will be for “high care” occupants. An administration centre will be built south of the museum. The Old Timers Home will also undergo extensive renovations to the Rosetta Flynn Wing at the front of the complex. The Hetti Perkins Home in Percy Court, entirely for Aboriginal people and also run by Frontier Services, will double in size from 40 to 80 beds. It has the full range of care. The NT Government continues to focus its alcohol policy reforms on “problem drinkers”, seen as those who commit alcohol-related crime. Minister for Alcohol Policy, Delia Lawrie, has introduced legislation to Territory parliament that gives police and the Alcohol and Other Drugs (AOD) Tribunal “additional tools to get problem drinkers out of public places and into rehabilitation”. Police will have the power to issue an infringement notice to people drinking in a public place within two kilometres of licensed premises and causing a nuisance to other persons. This will be in in addition to their existing power to tip out grog. The infringement notice will be linked to the Banned Drinker Register, increasing “the ability of police to target repeat offenders and direct them into treatment”. The AOD Tribunal will be able to force problem drinkers into rehabilitation and also to make orders that a person be subject to income management. The spectre of outstations and homelands in the Northern Territory forsaken by governments has receded, at least for another decade. A $221 million “investment” to provide them with basic essential and municipal services over 10 years was announced this week by Indigenous Affairs Minister Jenny Macklin, joined by Lingiari MHR Warren Snowdon and NT Senator Trish Crossin. Although the total funding sounds large, in reality it is basically more of the same, as the Australian Government has been providing the NT Government with $20 million each year since 2007 for this purpose. They are boosting their contribution over the decade by $6m and the NT Government is kicking in $15m. In another announcement, $619 million was allocated to remote policing, community night patrols and legal assistance services. This will enable the NT Government to continue employing 60 full-time NT police officers in 18 remote communities, and build an additional four permanent remote area police complexes in communities.